From a medical insider comes a plea to renew medicine's mandate to relieve suffering. The philosophy and practice of palliative care shows how this is possible by easing pain, by embracing the human side of illness, by inviting patients to be full participants in their care, and by incorporating the wisdom of these injured storytellers to guide healing hands. 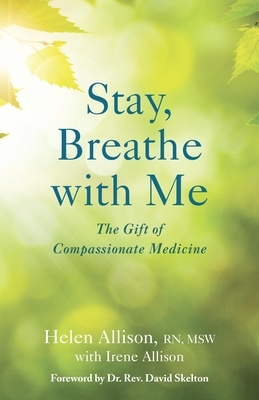 Informed by the voices of the seriously ill, their families, and the lifelong experience of a palliative care nurse and medical social worker, Stay, Breathe with Me, illuminates the power of the art of care and the need to bring heart and compassion back into health care. Written for both medical professionals and general readers alike.